We are extremely lucky to have 2 excellent Secondary Schools in our immediate vicinity. The majority of our pupils transfer to Eggar’s School, which is within walking distance of Andrews’ Endowed, or to Amery Hill School in nearby Alton. Each school has individual specialisms which makes it distinctive, and a very good pastoral and academic reputation. We enjoy strong links with both schools, and our pupils regularly visit for curriculum enrichment events, concerts and sporting activities. Students from both schools join us for Work Experience placements or to help out with clubs and other activities. Education in the area is further enhanced by the provision available at Alton College, another outstanding facility, offering sixth form opportunities. A small number of our pupils transfer to independent schools at the end of our time with us, some of them gaining scholarships or bursaries towards their tuition. We prepare our children carefully for the transition to secondary school. 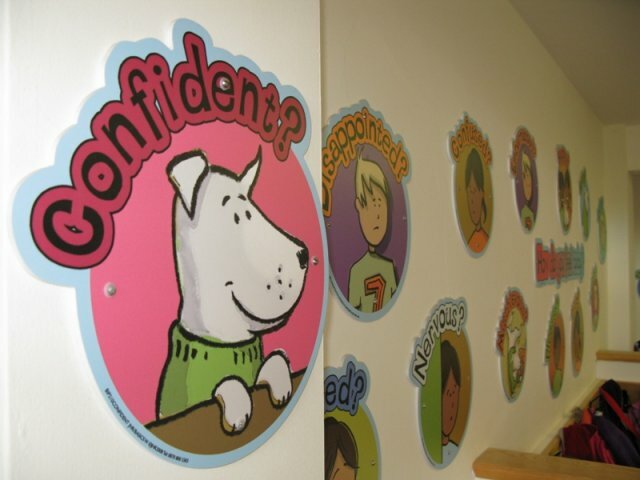 We use a variety of materials to help the children feel confident and excited about moving on. Feeder schools provide taster days and open events, which we encourage parents and children to attend from Y5 onwards. Members of our staff are happy to advise parents and carers regarding secondary transfer, and support them through the process. Once places have been secured, we work with the local schools on transition projects. Members of staff from the secondary schools visit our pupils in the summer term, and meet with our staff to discuss each pupil’s individual needs. We continue to liaise with receiving schools once the children have moved onto Year 7, and always enjoy welcoming our pupils back when they come to visit us! Please use these links to find out more about Eggar’s, Amery Hill or Alton College. We enjoy a good relationship with our neighbours at Treloar’s, a non-maintained special school for 2 to 16-year-old + students with physical disabilities. We regularly host students who join us on Work Experience, and we use the hall and stage for our end of year production performed by our Year 5 and Year 6 pupils. Our pupils visit to join in with shared curriculum experiences which are often led by older students from Treloar’s, and pupils from the school join us for special events. Please follow the link to find out more about Treloars School and College.